The very existence of any technology is because of need to change and focused at change. Any change should always be focused at improving lives, processes, and of course our environment. Modern data centers are increasingly feeling the need for adopting new technologies in order to accommodate volumes of data that is being generated. Cloud computing technology is being embraced by today’s data centers to meet demands data storage, data processing, and efficient data distribution. The emerging trends of virtualization and growing adaptation of cloud computing is already evident from the increase in underutilized capacities in traditional data centers. In view of this, there can be a paradigm shift in the way data centers will be designed and built. Perhaps we will witness growth in number of micro data centers that require fewer energy resources and lesser security measures to operate. We are already having containers and boxes to facilitate data management in remote areas. Reliance on public Internet networks will be replaced by setting up of private Internet networks for greater security. This will also facilitate more efficient cloud access to gain a competitive edge over traditional facilities that depend on public Internet to provide cloud computing services. Cooling is the most energy intensive aspect of a data center. Data centers are already attracting considerable criticism due to their huge requirement of power and water. This is certainly going to impact future data centers that will implement stringent water and power management practices. There are many data centers using solar power to meet their energy demands. Alternative sources of power will have to be used in order to improve energy efficiency of data centers. In addition to power, we should also focus on water efficiency by seeking alternative ways for cooling data centers. Harnessing outdoor air, use of economizers, and adopting evaporative cooling solutions has already become need of the hour. Movement of data centers from class one and class two cities will be felt due to multiple reasons. Although, the more obvious reason is to move closer to newer and hitherto untapped segments of markets, there are more serious factors to consider. Terrorist activities are not showing any signs of ebbing, this will force vital infrastructures of data centers to move to cities that are less prone to the dangers of such attacks. It will also result in concentrated content delivery networks to improve data availability in distant locations. The new trends will focus more on optimization of manpower resources. Since automation will rule most of the data center related tasks, less manpower will be required to look after data center operations. As the focus will shift from physical systems to software systems, there will be reduction in requirement of manpower, space and routine maintenance. Cloud and software will drive the change in future data center infrastructure. We are already listening to whispers about Software Defined Data Centers, Software Defined Networks, and so forth. Automation will reduce equipment failures and improve productivity of manpower resources. Data centers will be far more responsive than they are, as of today. Webmasters and data center administrators will be either forced to adapt to new technologies or make way for fresh technocrats that are highly skilled in new technologies related to API integrations, automation, and so forth. Present operation systems and procedures will undergo vast changes and will witness automated validation processes with state of the art administrative tools. This brings us to hyper-converged infrastructure and systems. 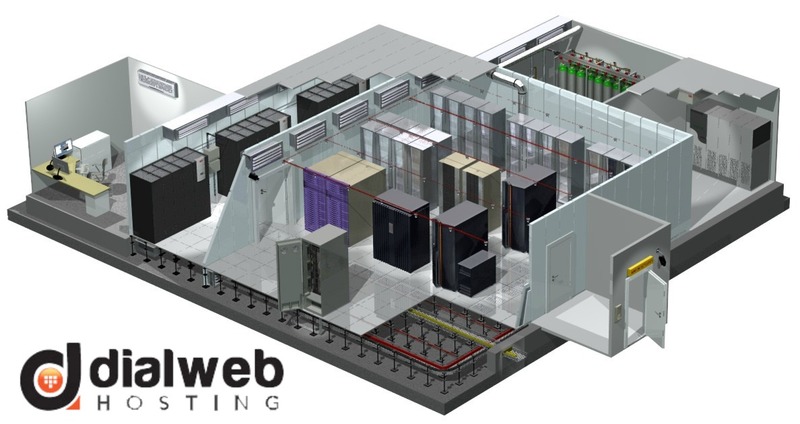 Traditional data center designs will undergo massive restructuring and we will have simplistic and smaller facilities of hyper-converged and software defined data centers. Hyper-converged facilities will blend physical and virtual environments that govern data center operations. As of now, data centers are witnessing a phase of transition. Our traditional data center architecture is poised for a revolution in very near future. These software defined facilities will have no room for human errors and hardware failure issues. The comprehensive and integrated software platforms will also simplify management processes. Data availability will be more predictable and manageable. Software Defined Processes will also reduce downtime with a holistic and more defined approach to components of software platforms. Business dynamics and ever changing market forces will force future data centers to be more flexible. There will be a constant need to downgrade or upgrade the resources in response to changes brought about by market forces. Future data centers will be driven by need to be more scalable. The on demand scalability will be an important unique selling proposition of future data centers. Product segmentation will push the traditional hosting solutions such as dedicated hosting, VPS Server Hosting, and shared hosting into oblivion. Customers will be provided with highly customized hosting solutions to ensure perfect synching with their requirements. We are witnessing unprecedented growth in number of internet enabled devices. These hand held devices are driving modern data generation and data distribution operations. Data centers will have to be on the edge to address exponential growth of data processing and data dissemination.